If the title of this post conjures up images of part-time lovers and late-night rendez-vous in Taisho-era Tokyo, I'm afraid what follows will be a bit of a disappointment. 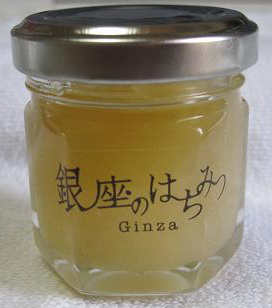 The "Ginza Honey" referred to in the title is exactly that: honey produced in Ginza. And yes, we're talking about the same Ginza, that of the posh clubs, haute-couture fashion shops and gourmet restaurants, where a square meter of land will set you back about 25 million yen. Not the ideal place for bee farming, you may think. Well, think again. About 7 years ago, two Ginza businessmen started a project to make honey in the middle of Ginza by installing beehives on the rooftops of 25 buildings in the area: the "Ginza Honey Bee Project" (銀座ミツバチプロジェクト). If you're into honey - and who isn't! - it deserves your undivided support, for various reasons: it's an all-volunteer project; it aims to contribute to reviving the declining Japanese honey industry (the main reasons for the decline being the ongoing deforestation of Japan and the increasing use of pesticides in rice and vegetable farming); all proceeds are given back to the community to help fund other citizen projects; there's evidence that the Ginza bees are healthier than bees in the countryside here; and the honey really is out-of-this-world. It's available in selected food shops in Ginza, so next time you're in the area, pick up a little jar or two. 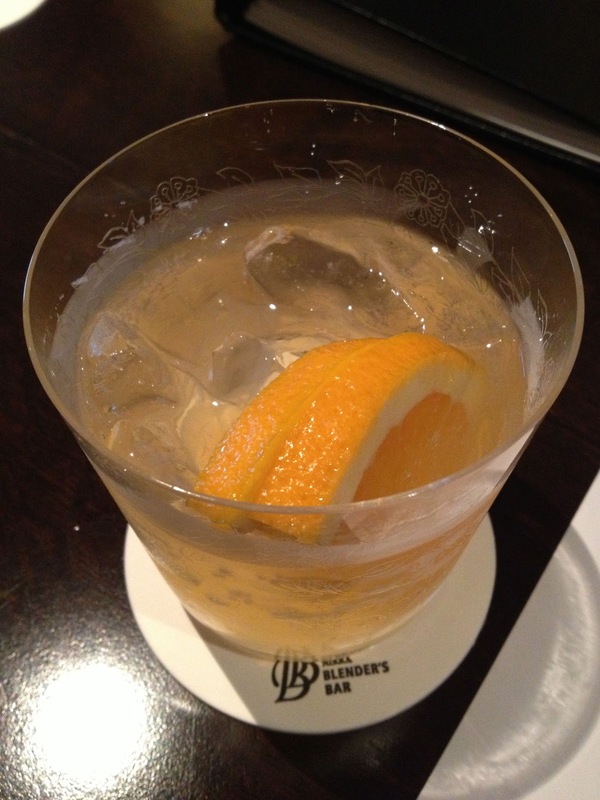 Then, do yourself another favour and hop on a train to Omotesando, because that's where you'll find the "Ginza Honey Highball" ... at the Nikka Blender's Bar. The highball uses Taketsuru 17 as its base, with a little spoonful of Ginza Honey slowly (and we're talking more than 5 minutes, here!) dissolved in it, and is garnished with two thick half-slices of orange. It's so exquisitely harmonized that it instantly became my all-time favourite highball. And while it's not too difficult to make a decent version yourself - as long as you've got the ingredients - the tender love and care that must go into this slow process of building it up means it's extra special if someone else is going through the trouble of making it for you. It's still on the menu at the Blender's Bar, so try it before they move on to other - probably equally enthralling - concoctions. How do they dissolve it? directly in the whisky? Before of after the ice is added? They pour a decent measure of Taketsuru 17 in the tumbler, then take a barspoon of GInza honey and dissolve it directly in the whisky by gently stirring. This takes a bit of time, obviously. When the honey is completely dissolved, the ice is added and the soda water. I'm sure they know exactly how much whisky and how much honey to use, because what happens is really extraordinary. There must be some sort of wonderful chemistry between that particular whisky and that particular honey because the result is not - as you would imagine - "whisky + honey". It's a truly amazing combination. Sounds like quite an intriguing drink, and the history behind it is equally interesting to read.